Once Direct Waste Services have collected your waste or rubbish, we will dispose of it responsibly for you, saving the hassle of taking it to the tip and / or the costs involved in hiring a skip. All rubbish is recycled. 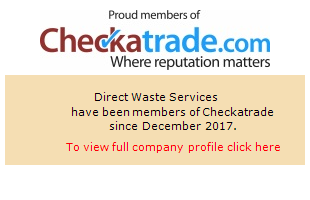 Cleaning up your rubbish couldn’t be easier with our Waste Disposal Service Choose our fast and reliable waste disposal services in Tunbridge Wells, Crowborough, Uckfield and surrounding areas of East Sussex, Kent & Sussex. Let us save you time and money! Unlike many of our competitors Direct Waste Services also offer FREE loading.